Peter Combe t-shirts featuring classic album artwork. This triple CD pack from Australia’s finest children’s songwriter features the hit albums Toffee Apple, Spaghetti Bolognaise and Newspaper Mama. Sixty-three tracks for only $29.95! A triple CD including the much loved 1990 'Peter Combe's Christmas Album', the 2005 followup 'Wake Up it's Christmas', and a 3rd CD including backing tracks for both albums. The second triple CD pack from Peter Combe features the albums Live & Rocking (retitled Absolutely Very Best of..Live), Little Groover and Best Friends. Triple Pack 3 includes all of Wash Your Face in Orange Juice (Peter's most popular CD) plus Chopsticks and Spook (which has been long out of print) plus 6 bonus tracks! This definitive collection, with 97 songs and a running time of over 6 hours, includes all of Peter Combe's previously released videoclips and performances from 1989 onwards. This is a PDF of the completely revised 'Peter Combe's Christmas Album Songbook'. Featuring vocal melodies and lyrics, backing harmonies, piano introductions and guitar/piano chords for all 16 songs from Peter's much loved 1990 Christmas album. Downloadable PDF sheet music - This is the complete songbook of Peter's 2005 Christmas album, 'Wake Up it's Christmas. Featuring vocal melodies, harmonies, lyrics and chords as well as illustrations for many of the 16 songs. A fantastic new CD from Peter Combe and probably his most eclectic album yet! Kiddywinks is an album particularly suited to pre-school children. New CD - 25 songs including a colour booklet with all the lyrics. With words and music by Peter Combe, this musical is based on the famous Australian children’s book by May Gibbs. This CD features 25 of Peter Combe's "action" songs for kids, and with an 8-page booklet containing all the song lyrics it's ideal for singalongs! Ideal for that special Christmas singalong! 14 backing tracks for the popular Christmas CD, Wake Up It's Christmas. Peter's classic Christmas album which has become an essential part of Christmas for many Australian families. This CD, originally released in 1989, is one of his most popular, with catchy tunes, crystal clear lyrics and toe-tapping rhythms. Here are four of the most loved children's fairy tales of all time, read and sung by one of Australia's best known entertainers. Features such songs as Newspaper Mama, Happy as Larry and Spangle Road. A special Sing-a-long book including all the lyrics for the 63 songs from the Spaghetti Bolognaise, Toffee Apple and Newspaper Mama CDs. "...a wonderfully diverse album of supreme quality"
This 1996 release, Little Groover, comprises 15 songs written and performed by Peter, and all the lyrics are printed inside the sleeve. Here’s Peter Combe recorded live in concert performing lots of his big hits, plus three bonus tracks. The CD features over 75 minutes of music and it includes a 16-page colour booklet with lyrics. Downloadable PDF sheet music - Vocal melody, lyrics and guitar/piano chords for "Wash Your Face in Orange Juice (Mr Clicketty Cane)", by Peter Combe. Downloadable PDF sheet music - Vocal melody, lyrics and guitar/piano chords for "Rain", by Peter Combe. Vocal melody, backing harmonies, lyrics and guitar/piano chords for "Caesar's Decree Song" by Peter Combe. From Peter's much loved 1990 Christmas Album. Downloadable PDF sheet music - Piano introduction, vocal melody, lyrics and guitar/piano chords for "Happy Christmas to You", by Peter Combe. From Peter's much loved 1990 Christmas Album. Vocal melody with harmony, piano part, lyrics and guitar/piano chords for "Christmas is Coming" by Peter Combe. From Peter's much loved 1990 Christmas Album. Downloadable PDF sheet music - Vocal melody, lyrics, guitar/piano chords, and piano outro for "Baby Lying in a Manger", by Peter Combe. From Peter's much loved 1990 Christmas Album. Guitar intro, vocal melody with 3 part harmonies, piano 'break' in the middle of the song, lyrics and guitar/piano chords for "Christmas Child" by Peter Combe. From Peter's much loved 1990 Christmas Album. Downloadable PDF sheet music - Vocal melody, lyrics and guitar/piano chords for "O Little One", by Peter Combe. From Peter's much loved 1990 Christmas Album. Vocal melody, lyrics and guitar/piano chords for "Jack and the Beanstalk" by Peter Combe. From Peter's much loved 1987 Toffee Apple Album. Downloadable PDF sheet music - Piano introduction, vocal melody, backing choir harmonies, lyrics and guitar/piano chords for "Love and Joy", by Peter Combe. From Peter's much loved 1990 Christmas Album. Vocal melody, lyrics and guitar/piano chords for "The Silly Postman" by Peter Combe. From Peter's much loved 1987 Toffee Apple Album. Downloadable PDF sheet music - Vocal melody, lyrics and guitar/piano chords for "Chock-a-Block", by Peter Combe. From Peter's much loved 1990 Christmas Album. Downloadable PDF sheet music - Vocal melody, lyrics and guitar/piano chords for "Tell Me The Story" by Peter Combe. From Peter's much loved 1990 Christmas Album. Downloadable PDF sheet music - Vocal melody, choir melody, lyrics and guitar/piano chords for "Fear Not For I" by Peter Combe. From Peter's much loved 1990 Christmas Album. Downloadable PDF sheet music - Vocal melody, lyrics and guitar/piano chords for "Juicy, Juicy Green Grass", by Peter Combe (includes piano intro). Downloadable PDF sheet music - Vocal melody, lyrics and guitar/piano chords for "To You Merry Christmas" by Peter Combe. From Peter's much loved 1990 Christmas Album. Downloadable PDF sheet music - Vocal melody, lyrics and guitar/piano chords for "Newspaper Mama", by Peter Combe. Downloadable PDF sheet music - Instrumental introduction, 3 part vocal harmonies, lyrics and guitar/piano chords for "Star Shines Bright" by Peter Combe. From Peter's much loved 1990 Christmas Album. Downloadable PDF sheet music - Vocal melody, lyrics and guitar/piano chords for "Spaghetti Bolognaise", by Peter Combe (including piano intro). Downloadable PDF sheet music - Vocal melody, backing harmonies, lyrics and guitar/piano chords for "Hang Up Your Stocking" by Peter Combe. From Peter's much loved 1990 Christmas Album. Downloadable PDF sheet music - Vocal melody, lyrics and guitar/piano chords for "Toffee Apple", by Peter Combe. Downloadable PDF sheet music - Keyboard intro/outro, vocal melody, 3 part harmonies, lyrics and guitar/piano chords for "Rejoice Rejoice" by Peter Combe. From Peter's much loved 1990 Christmas Album. Downloadable PDF sheet music - Vocal melody, lyrics and guitar/piano chords and strings Intro/Outro, for "Chopsticks", by Peter Combe. Downloadable PDF sheet music - A round of 4 vocal parts including melody, lyrics and guitar/piano chords for "Little Caterpillar", by Peter Combe. Vocal melody, lyrics and guitar/piano chords for "PING" by Peter Combe. From Peter's much loved 1990 Christmas Album. Downloadable PDF sheet music - Vocal melody, lyrics and guitar/piano chords for "Tadpole Blues", by Peter Combe. Vocal melody, lyrics and guitar/piano chords for "Christmas Eve" by Peter Combe. From Peter's much loved 1990 Christmas Album. 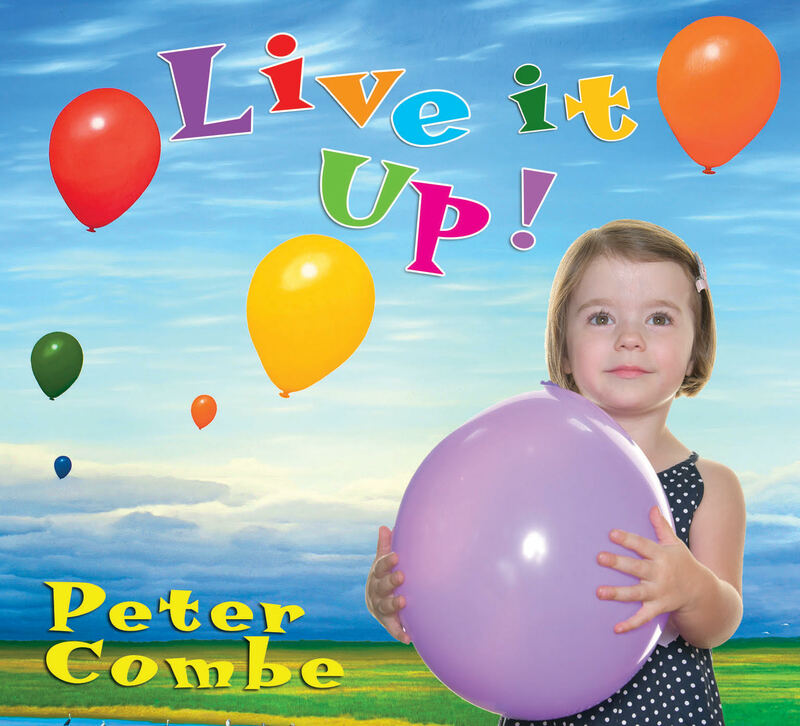 This is a contemporary adult album from children's performer Peter Combe. Here are 25 animal songs for kids, from Peter Combe, Australia's original and classic children's singer/songwriter. Booklet includes lyrics. Like other Peter Combe CDs it is ranging in style from catchy kids songs to folk, lullabies, sweeping anthems telling the traditional Christmas story, quirky, a rock ballad, acappella, and ‘A Very Silly Christmas Song’. See the CD for all the song titles. Primary school children respond excitingly to this collection of Peter Combe’s own 17 fun Christmas songs. See the CD for the song titles.